Much of the pleasure of this salad is in the contrast of textures — chewy bulghur wheat, crispy beans, juicy beets. Hummus is a staple food in our house – I whizz up a batch nearly every week. 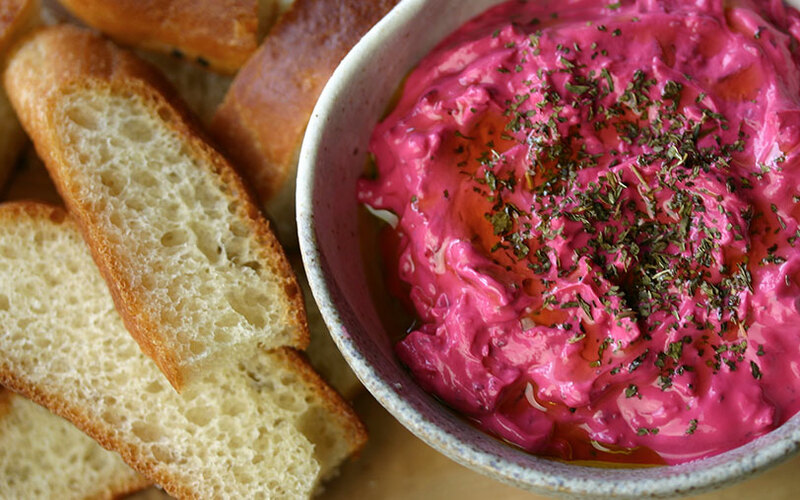 While we never get bored of hummus, adding a roasted beet to the mix now and then makes a change. 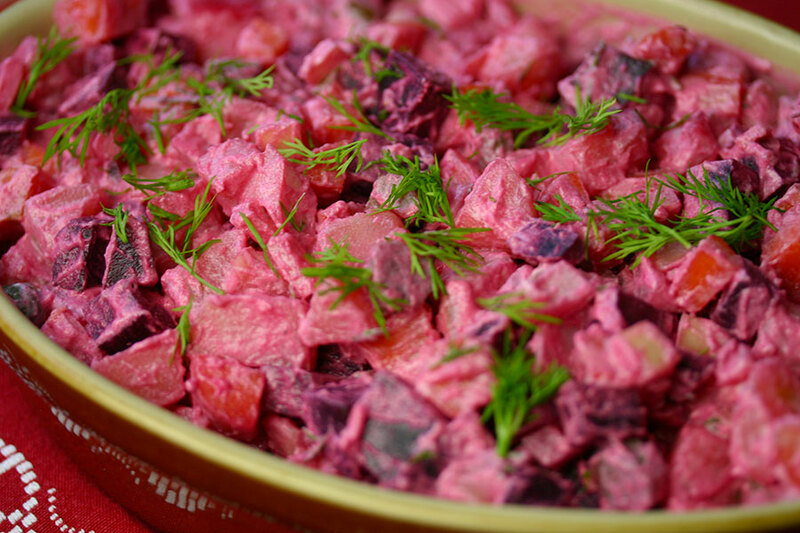 Rosolli is a Finnish root vegetable salad traditionally served at Christmas. What I enjoy most about it is the satisfying mixture of textures, from soft potato to the crunch of gherkin. 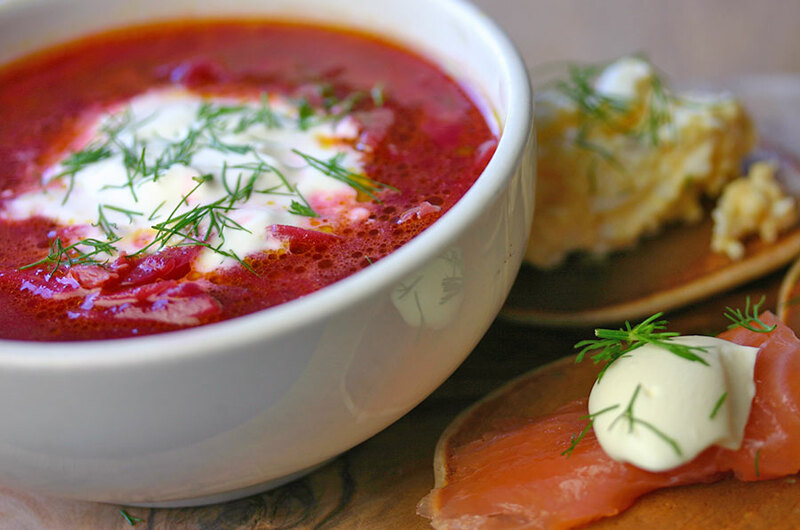 Crème fraiche and vinegar bring a sharpness to the dressing, balancing out the natural sweetness of the beets and carrots. 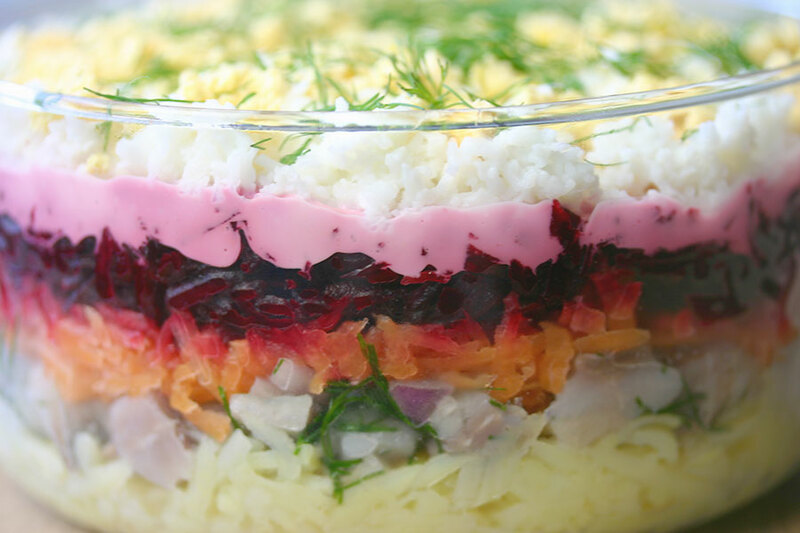 Herring under a fur coat – now there’s an original name for a salad… Chopped herring is buried beneath layers of vegetables and cooked egg, as snug and warm as if it were under a fur coat. Having looked at a number of recipes online, I chose this version because it seemed relatively light, with just a thin spread of mayonnaise on top, instead of each layer.